Rubber pulp lifters are necessary for mills, which strengthen grinding effects and improve efficiency. Rubber lifter bars for grinding machine can be used for 36 months, while the metal ones 12 months. Made of rubber material, they are much lighter and anti-corrosion. 1. 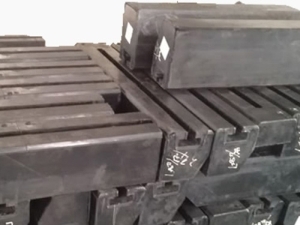 Rubber pulp lifters should be packed in iron cases. 1. Types of payment are L/C and T/T. 2. Rubber pulp lifters will be delivered within 30 to 60 days after receiving down payment. 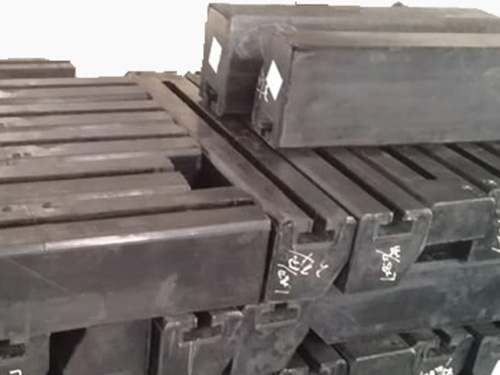 Field installation and maintenance will be provided on the condition that purchase orders of rubber lifter bars for grinding machine reach a certain amount. Founded in 2005, Jiangxi Naipu Co., Ltd. is a professional supplier of rubber pulp lifters, rubber liners, composite pipe, flotation machine spare parts, etc. The company sells products both at home and abroad, such as Australia, Brazil, Russia, Chile, South Africa, Pakistan, and Liberia, to name a few. Apart from products, the company offers lots of customer services, ranging from designing, customization and installation to training. Welcome to visit our website or contact us directly.